A contemporary of Dickens, Collins is not the kind of writer you tend to stumble across. I first came across his works when I had to read ‘The Woman in White’ as part of my studies, and I was intrigued by the idea of ‘The Moonstone’ being the first detective novel. I had never read this, and decided it was about time to try something a little different. The first thing that I have to say about this novel is that it focuses on a rather straightforward mystery, but is made that little more special due to the fascination with the supernatural. Lord Montbarry breaks off his engagement to Agnes Lockwood, he marries the mysterious Countess Narona (about which there are more than one or two rumours) and then travels to a run-down palace in Venice. We learn of Montbarry’s death, and the mysterious circumstances surrounding it. Suspicious, Montbarry’s brother travels to Venice to try and determine exactly what happened. The palace in Venice where Montbarry was staying has been turned into a fashionable hotel, but mysterious things are seen there. I shan’t give away the specific details of what transpired, but it was a well-plotted and interesting story. 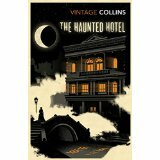 What really stuck out to me was the deep interest in the supernatural that Collins shows. Some of the descriptions were quite horrific, but I thoroughly enjoyed this novel. 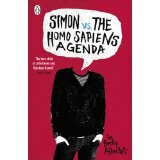 When we meet Simon Spier he’s enthralled by the mysterious Blue, the only person in school that knows Simon is gay. Through their email exchanges we see how Simon is coming to terms with who he is. Then one of Simon’s emails is seen by the wrong person and things become more than a little complicated. While this is a story about coming out and issues surrounding being homosexual, it was also a story about friendships and learning to accept who you are/how you engage with those around you. At times I did feel the whole experience was a little saccharine – I’m not sure how positive an experience this would be in reality. That aside, this was a witty and enjoyable read. I spent most of the book, like Simon, second-guessing the identity of Blue. By the time we’re told who Blue is I was hoping for the feel good ending. I wasn’t disappointed. 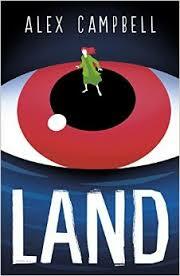 ‘Land’ is a title that I might well not have picked up had it not been on the list of nominations for Carnegie 2016. The cover gives little away, but the blurb hints at a rich and enthralling story that will hook the reader if they get close. The boxes for YA dystopian novel are ticked, but there is something different about this that gets under your skin from the moment you start reading. Christy is a heroine that could, quite easily, be disliked, but I found her engaging. While she is, in some respects, a puppet for others’ ideas I felt she truly came into her own at the points in the novel where she forgets what she has been told to do, and acts on her own beliefs. There are numerous strands to this novel, and I was continually second-guessing what would happen. Watching the gradual disintegration of Land did not affect me unduly, perhaps because you are told from early on what Christy’s role is to be. However, the end of the novel left me somewhat open-mouthed. I loved it!